Simplify your researches on Pubmed. Is there a better alternative to PubmedParser? Is PubmedParser really the best app in Science category? Will PubmedParser work good on macOS 10.13.4? 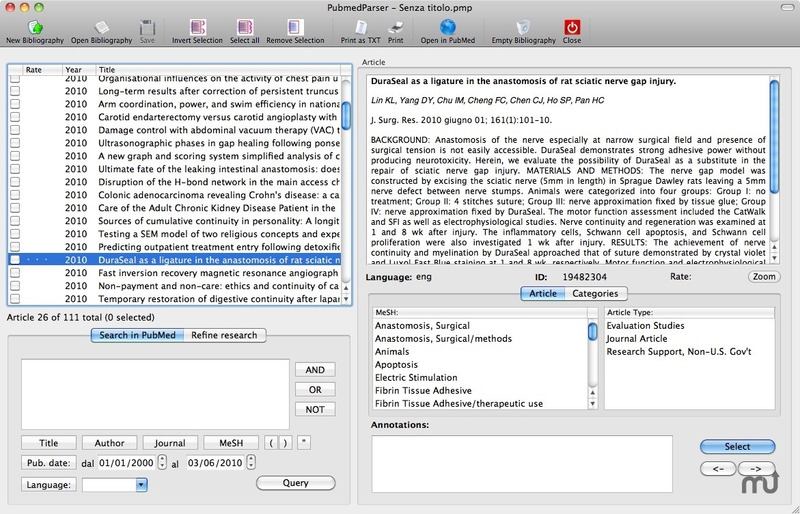 PubmedParser is a software for professional searches on PubMed. With Pubmed Parser you can create new bibliographies and organize your articles into categories. PubmedParser has also a new MeSH browser. With demo version you can test all functions, except for saving and printing bibliographies. PubmedParser needs a review. Be the first to review this app and get the discussion started! PubmedParser needs a rating. Be the first to rate this app and get the discussion started!